Location: This beautiful plant is found along banks of fast-moving streams in Borneo, using its strong roots to attach to rocks. 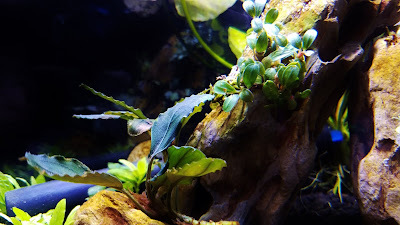 In the aquarium hobby, we usually grow them underwater as submsered, but because of their locale's wet and dry seasons, they can also be grown out of water as emersed plants. There are over 200 varieties but less than 10 named species last I heard. Size: The plant grows to about two to four (or more) inches in height, and even taller when grown emersed. The leaves are usually half an inch to four inches long, making buce a good plant to grow in the foreground, mid-ground, or attached to hardscape. Appearance: The most common varieties on the market are usually seen with oval-shaped leaves that have a wavy edge. However, many other varieties can have leaves that are smaller, skinner, straight-edged, and so on. Their colors range from light to dark green, sometimes with purples, reds, and blues mixed in. The leaves are known for having an iridescent sheen with small white dots. Bucephalandra can produce pink or white flowers, although they don’t always survive well underwater. Growth Pattern: Depending on the variety, buce can creep along laterally, grow in a mat, or grow upright (which seem to be harder to keep according to Rachel O’leary). 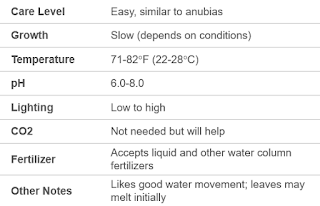 Most of the care information can be summarized in the chart above, but their care level is fairly easy and similar to keeping anubias. The growth rate is slow (depending on your lighting, CO2, and other conditions). From what I've read, they seem to handle a wide range of temperatures from 70's to 80's °F, as well as a pretty wide pH range of 6.0 to 8.0. The lighting can range from low in the shade to high near the top of the tank (although if it's too high, you may have algae problems since buce is so slow growing). CO2 is not necessary, but will help of course. 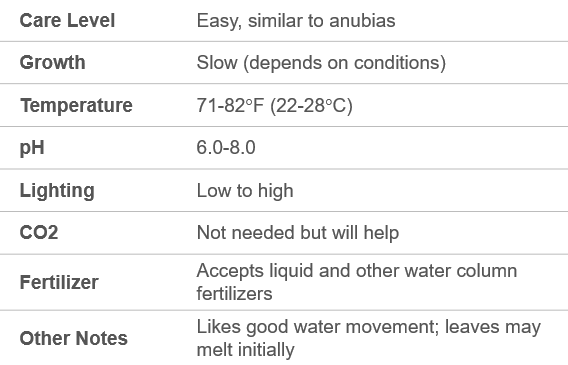 Like any rhizome plant, it will benefit from fertilizers in the water column. And finally, buce likes good water movement since it comes from river environments. I rarely see bucephalandra at my local fish store, and if I do, it's usually a mystery variety. People don't really sell them at fish club auctions either since they're still relatively rare and grow slowly. Your best bet is to find an online retailer. BucePlant.com has a great website and offers a ton of varieties, so I would definitely check them out (#notsponsored). I think the reason why buce is so expensive is because it's still new-ish to the hobby and I've heard new laws and restrictions were put in place to help stop the illegal export of buce since it was being overharvested from the wild. So try to buy commercially produced or farm-raised plants if at all possible. In the wild, their flowers produce scents to attract beetles for pollination. However in the aquarium hobby, propagation is as easy as cutting the rhizome. Just use some sharp, clean scissors, and avoid cutting the rhizome sections too short. When you receive your new buce, remove any sickly leaves before planting. You can place the buce into the substrate, but make sure to only cover the roots and not the rhizome. You can also wedge it between rocks and crevices in driftwood. If you'd like to attach it directly to the hardscape, you can tie it with thread or fishing line, or use super glue gel (my favorite method). 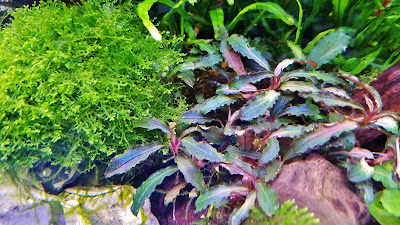 Similar to crytocoryne plants, bucephalandra may melt with sudden changes in water parameters – like moving it from submersed to emersed or even moving it to a different tank. When buce melts, it loses its leaves and stores nutrients all the way down to the rhizome, so don’t throw away the rhizome. Give it some time to see if it will recover in its new environment. In summary, bucephalandra is a beautiful plant with iridescent leaves, is easy to care for, and is perfect for low tech tanks and nano tanks. However, it is relatively expensive, may melt initially, and takes lots of patience since it's slow growing. 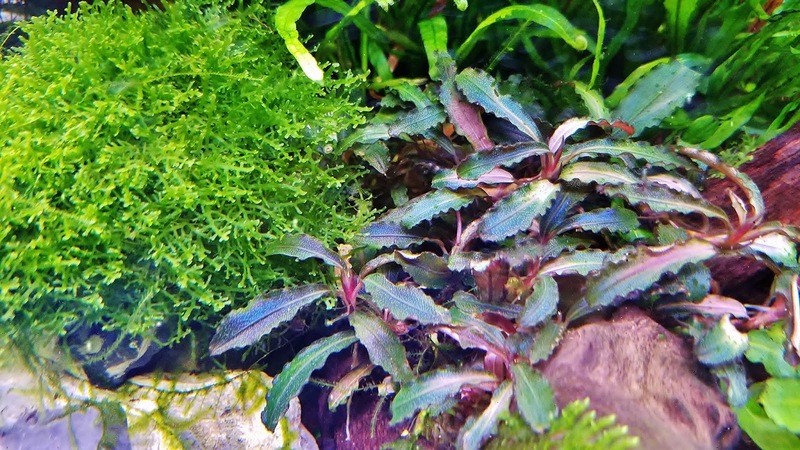 So I'm going to give the bucephalandra 4 stars out of 5. If you’re looking for something a little unique that’s not anubias or java fern, definitely check it out! 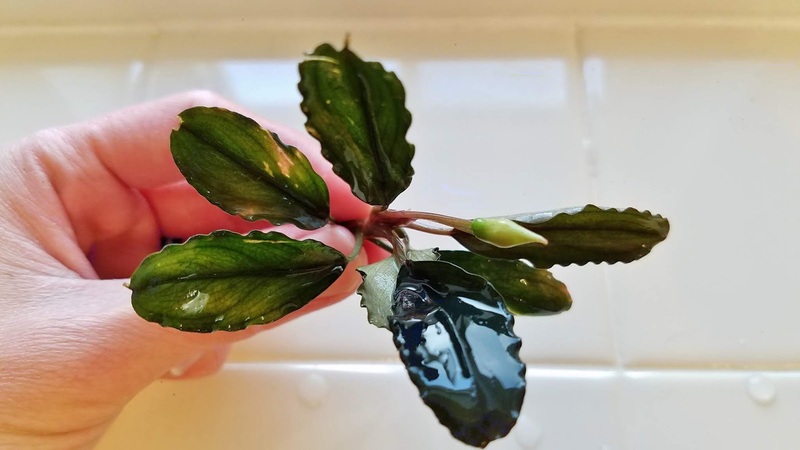 Do you have any care tips for bucephalandra? Do you think buce is worth all the hype? Comment below to let me know what you think.